Here’s a glimpse into one of India’s foremost business families. 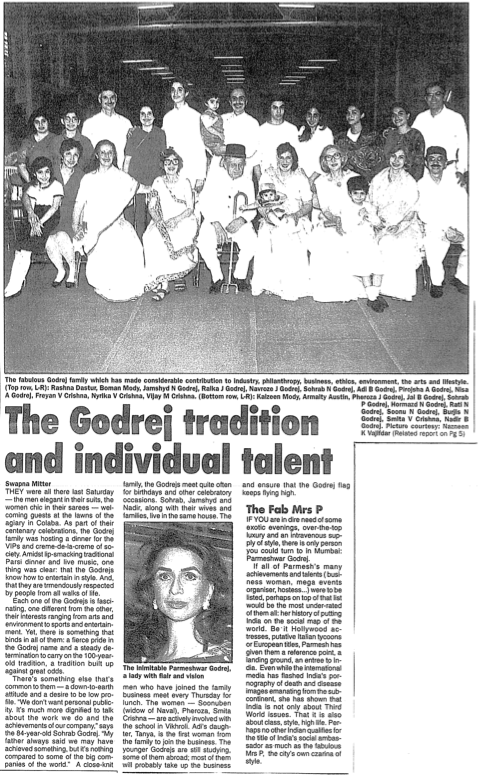 Savvy, polite, articulate – each member of the Godrej clan was a delight to talk to, including those who married into the family. I met them as they were celebrating 100 years of being a topnotch corporate name. There is something that binds all of them: a fierce pride in the Godrej name and a steady determination to carry on the 100-year-old tradition, built up against all odds. There’s also something else that’s common to them — a down-to-earth attitude and a desire to be low-profile.